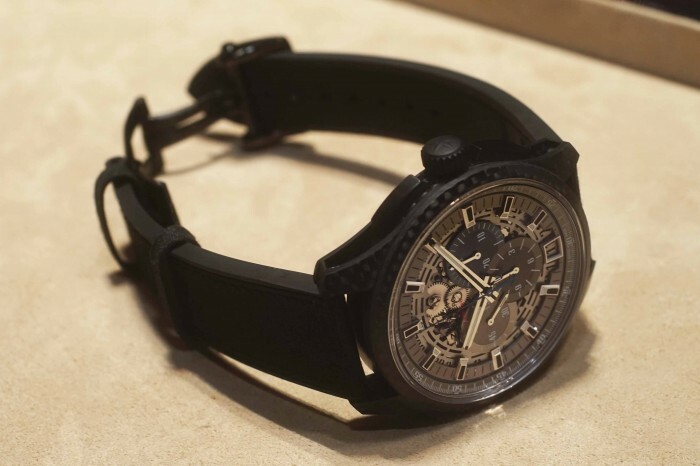 Continuing on from Part 1 (See article here), our Editorial Director Wei Koh, continues in his pronouncements for the Best Watches seen at Baselworld this year in this second and final instalment of the series. Starting from the inside-out, we have the incredible column-wheeled and silicon hairspring equipped Caliber 1315 movement. 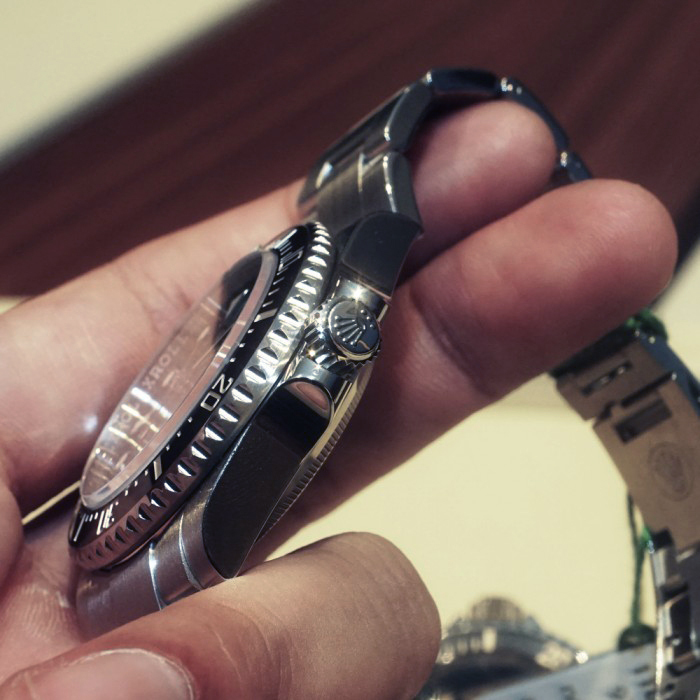 The last component makes the movement impervious to magnetism allowing for a transparent case-back. 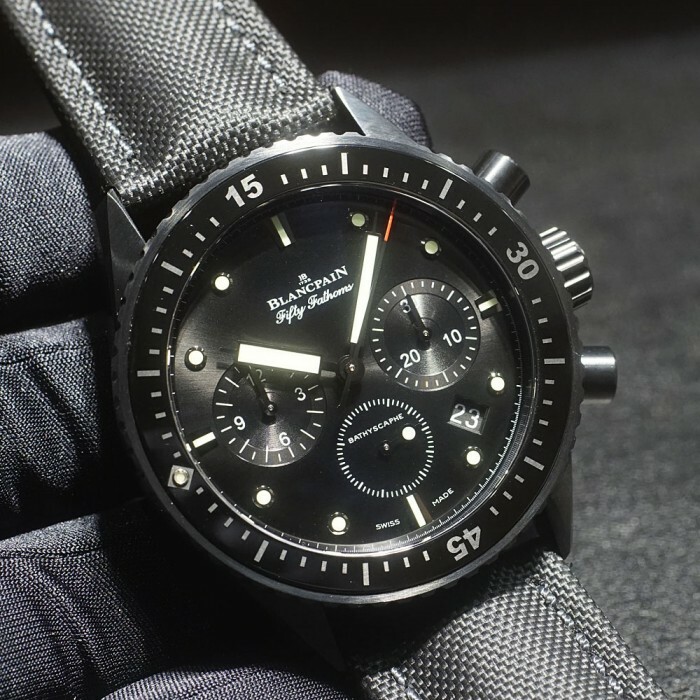 The fact that it has a vertical clutch means that the chronograph function can be kept running indefinitely without affecting overall accuracy. This amazing movement runs at 36,000 vibrations per hour meaning that it not only is able to divide time to 1/10th of a second but is also far more impervious to micro-shocks than movements beating at a lower speed. It can be had in a brushed steel case, but it will be more preferable in the other option: a black brushed ceramic case, which is impervious to scratches from any material on earth save diamond. 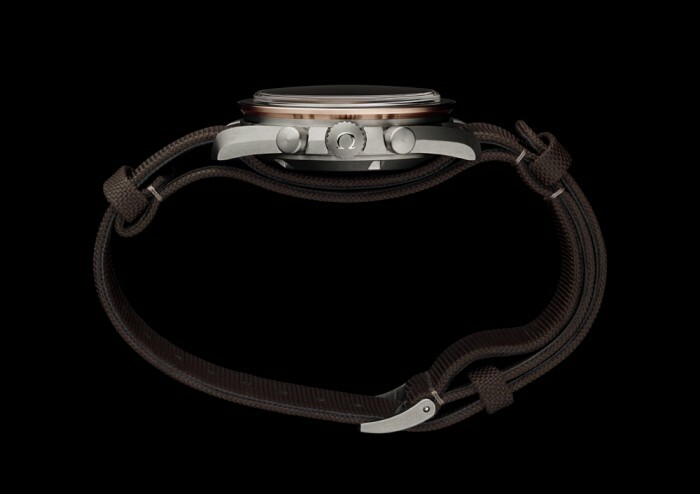 And, finally, the ceramic bezel features Liquid Metal numerals. Liquid Metal is a patented alloy with an amorphous structure that bonds perfectly with ceramic. 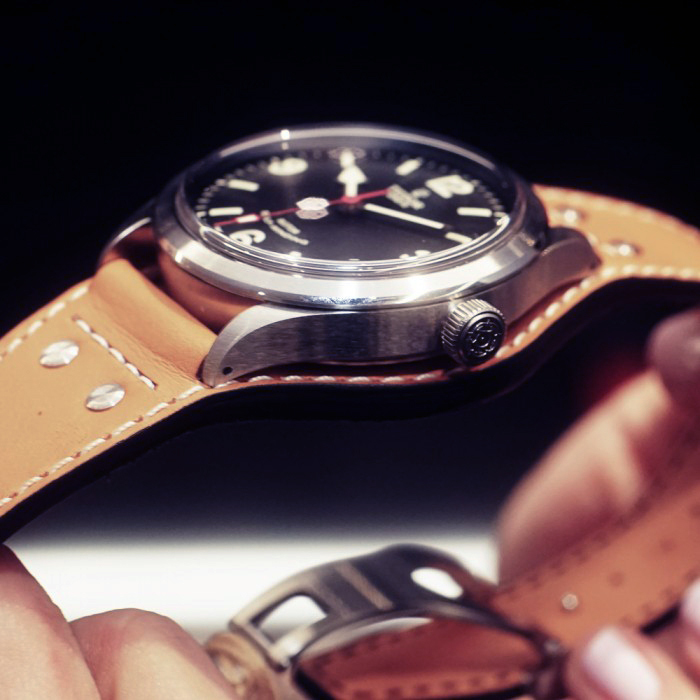 Add an absolutely stunning NATO strap and you have the perfect watch. Want one last detail to send you over the edge? This is one of very few dive watch chronographs where you can actually use the chronograph function underwater. Now, how cool is that? How much do I like it? I’ll be buying one – that’s how much. 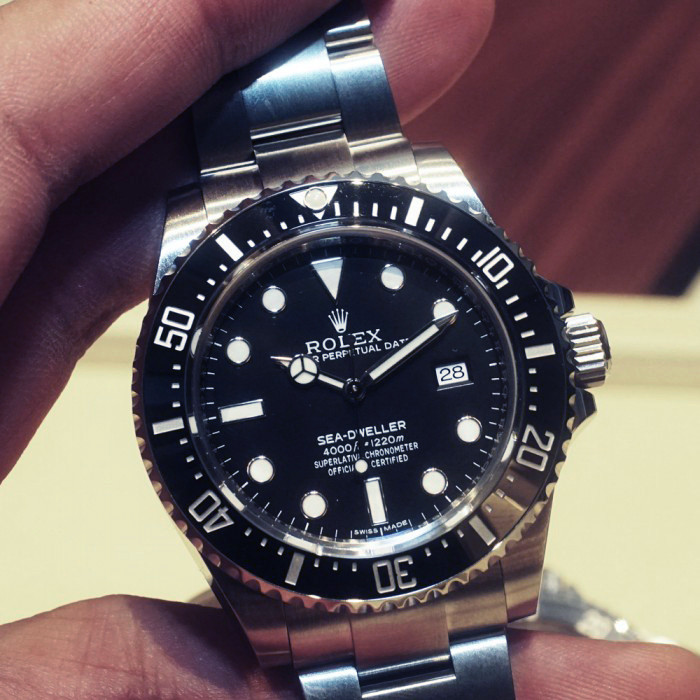 This year marks the return of the Rolex Sea-Dweller, the world’s first deep saturation dive watch and the first timepiece to feature a helium release valve to release molecules of helium that build up when divers remain in deep saturation chambers breathing a mixture of oxygen, helium and hydrogen.Without the release valve, these molecules will be trapped and expand, causing watch crystals to explode off cases when surfaced above water. 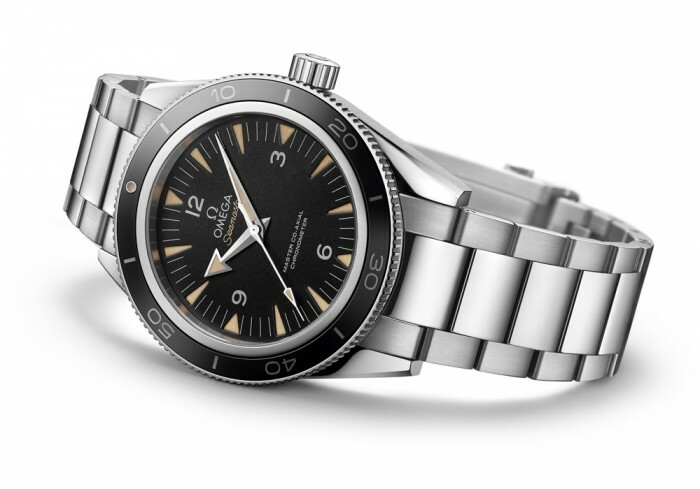 The first Sea-Dweller was produced in very small numbers in 1967. 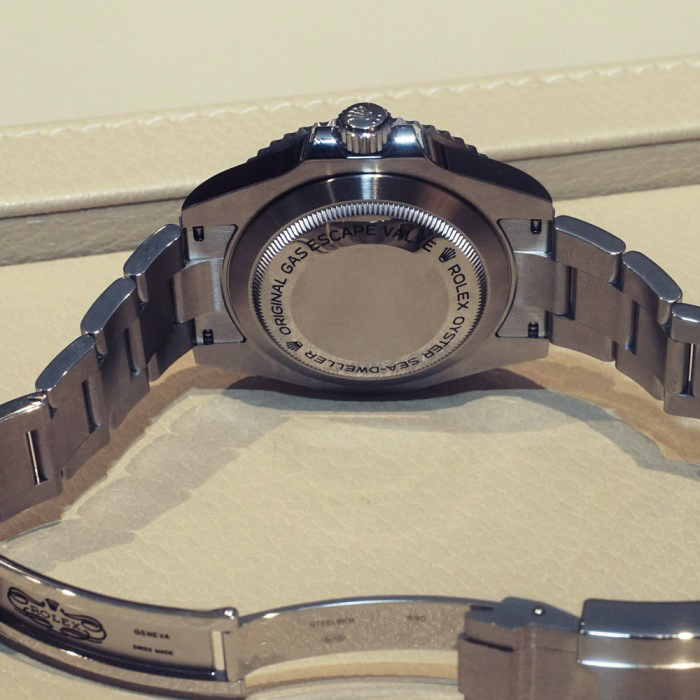 While the best dive watches of the era were rated to 200 meters or 610 feet, the Rolex Sea-Dweller had a depth rating of 610 meters of 2000 feet, more than tripling the normal depth rating. You might ask yourself why any human being needs a watch that descends to 2000 feet in the same way you might query why anyone needs a 500 horsepower automobile, which is to say the question misses the point entirely. The idea of strapping a timepiece with such extraordinary performance potential is exactly what is so romantic about watches. Over the years, the Sea-Dweller eventually reached a depth rating of 1,220 meters or 4,000 feet. 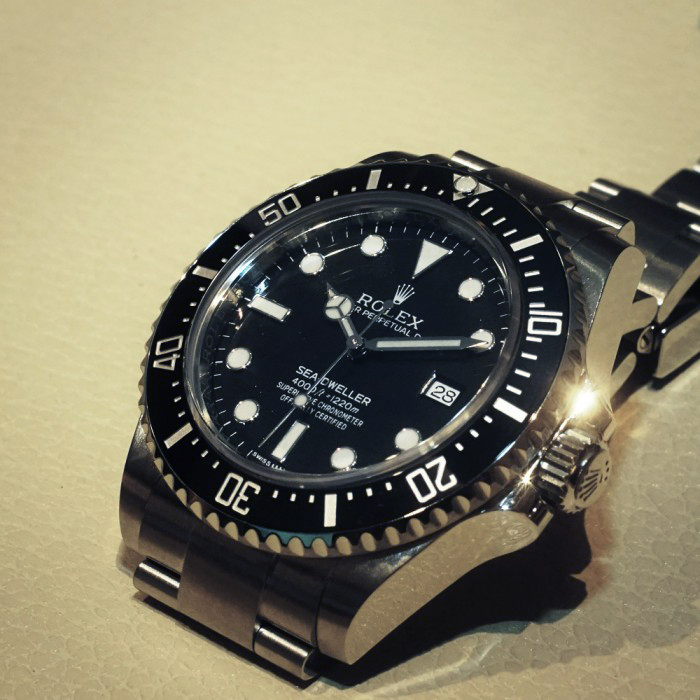 And, though one of the most beloved of all Rolex sports watches, it was discontinued in the V series of watches, circa 2008, to make way for the launch of Rolex’s titanic Deepsea Sea-Dweller, a massive 44mm diving watch with a simply astonishing depth rating of 3,900 meters or 12,800 feet, utilising Rolex’s patented Ring Lock technology. This year, the watch makes its return with an updated ceramic bezel – finally filling the hole left in the emotional epicenter of the world of watch lovers, created by its departure in the first place. Having visited Zenith’s factory in Switzerland’s La Chaux des Fonds, I can attest to the tremendous manufacturing depth found therein. 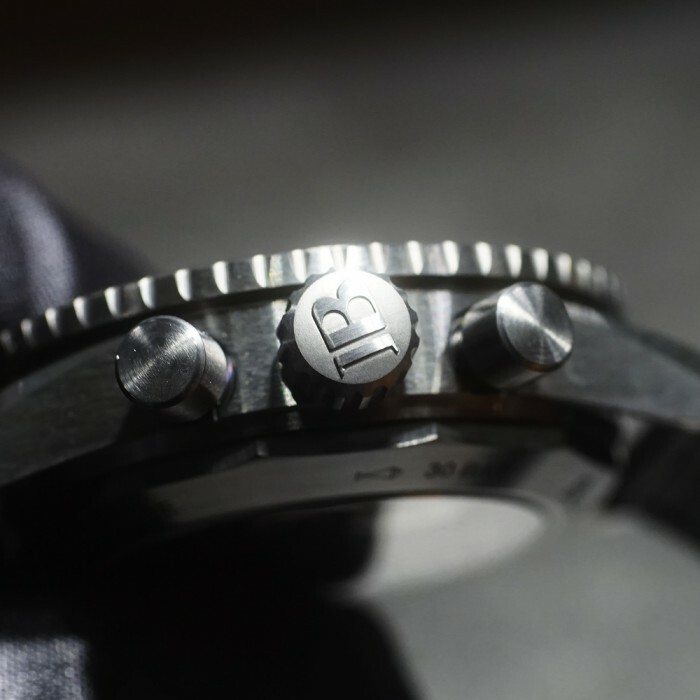 So it comes as no surprise that the brand was able to construct their very first movement using a titanium baseplate and bridges. You may recall several years ago that a series of movements were made here from a material called Zenithium, which was an alloy of titanium with some other cloak and dagger components. 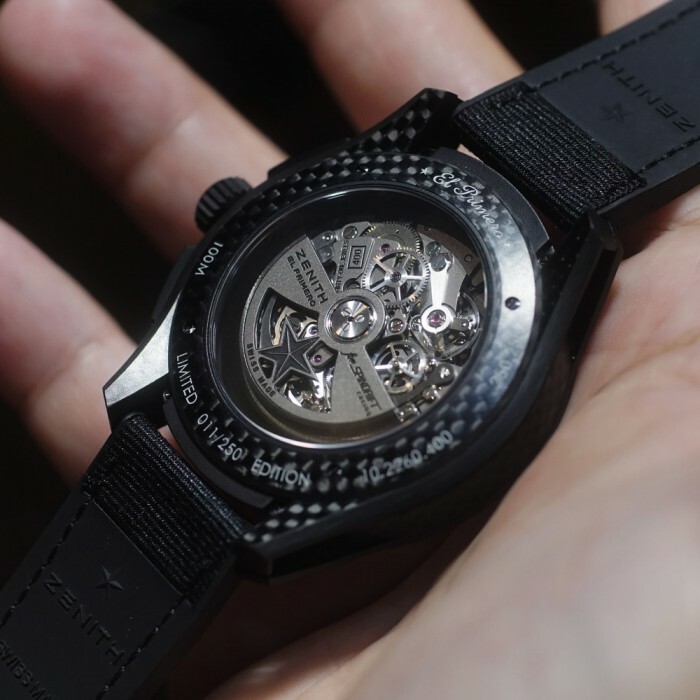 Adding to the watch’s technical arsenal is a case crafted from a combination of carbon fiber and aluminum, resulting in a timepiece that is a full 25 percent lighter than its next lightest stable mate. The open work dial features blue, light grey and anthracite sub-dials, which are evocative of the 1969 El Primero. The dial also gives the perfect vantage point to revel at the magnificent engine contained within, the El Primero caliber, the world’s first integrated automatic chronograph, as well as the first commercially produced movement beating at 1/10th of a second. 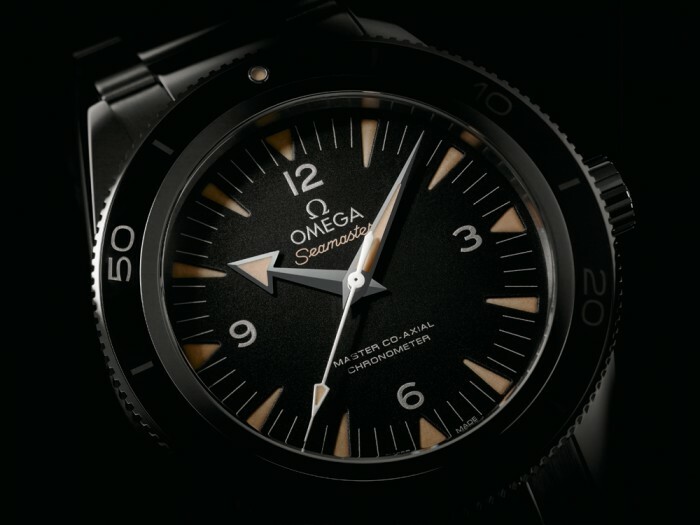 If I were to nominate any one brand as the best of the 2014 Basel Fair, it would have to be Omega. 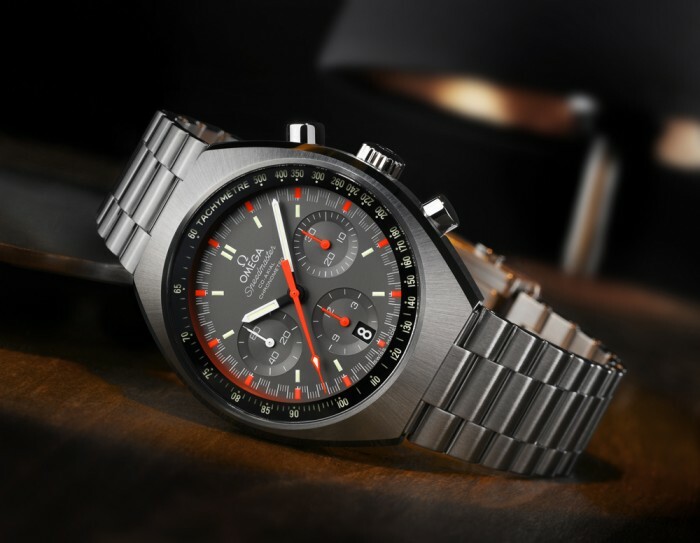 This is based on the fact that Omega launched no less than three of the very best timepieces of the year: the Speedmaster Mark 2, the stunning Speedmaster Apollo 11 and the wonderfully retro Sea Master 300. 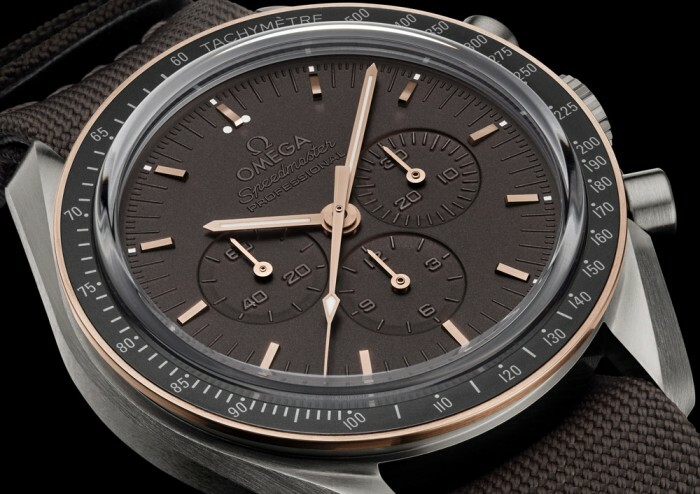 The Speedmaster Mark 2 takes inspiration from a Speedmaster produced in 1969, the year in which astronauts wore Omega’s on the very first moon landing, forever associating the much-deserved sobriquet “Moon Watch” with this iconic timepiece. 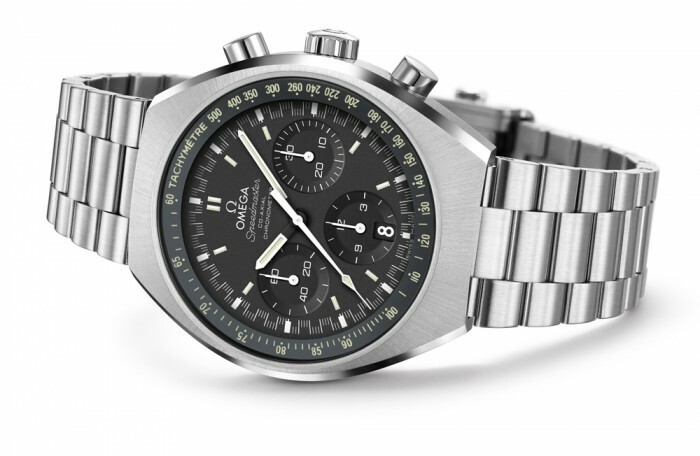 This particular Speedmaster features a barrel shaped 60’s avante gardist style case. While the original Mark 2 watch featured a hand wound movement, the new watch is endowed with an automatic vertical clutch, column wheel caliber using a silicon hairspring and featuring Omega’s signature Co-Axial escapement. My favorite feature of this timepiece is to be found dial side, which is the first luminous tachymetric scale I can recall seeing. This is ingeniously achieved by using a sapphire crystal ring with the tachymetric scale printed underneath it. Beneath this is an aluminium ring filled with SuperLuminova that illuminates the scale. 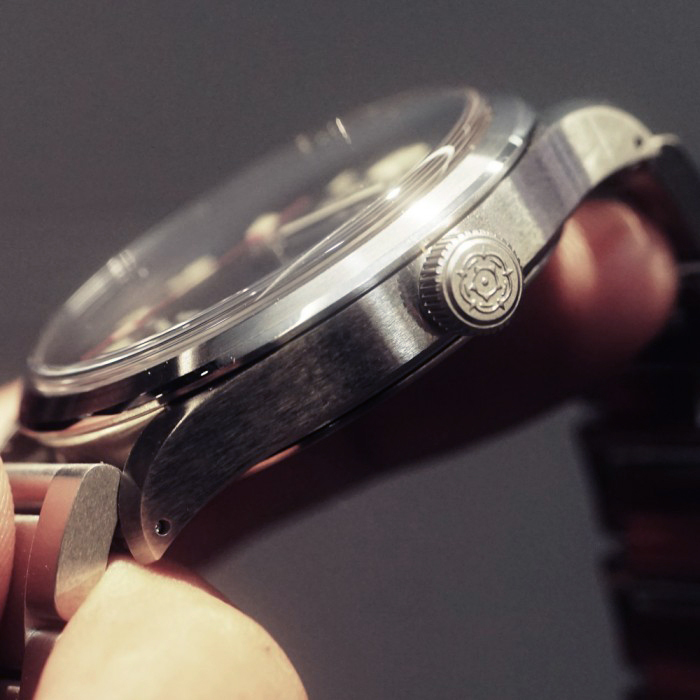 Accordingly, the chronograph seconds hand also has a luminous arrow shaped tip. This scale allows the calculation of the speed of moving objects over a specific distance. Simply start the chronograph at the first reference point and stop it at the second reference point and you’ll have the reading of your average speed over that distance. And this can be done both in the light or in the dark. Look at this watch. It is the epitome of classic coolness with its case shape, its bevels, the font on the bezel, the iconography of the dial, those seductive arrow-shaped hands and even the luminous material which is colored to look like aged tritium. If there is one watch this year that is timed perfectly in syncopation with the pulse of the contemporary watch consumer’s heartbeat, it is this amazing Seamaster. Inspired by the original Seamaster from 1957, this modern version is just the right size at 41mm in diameter. What is particularly impressive is the way in which the bezel has been constructed of scratchproof ceramic but with a semi matt finish that is evocative of vintage Bakelite. 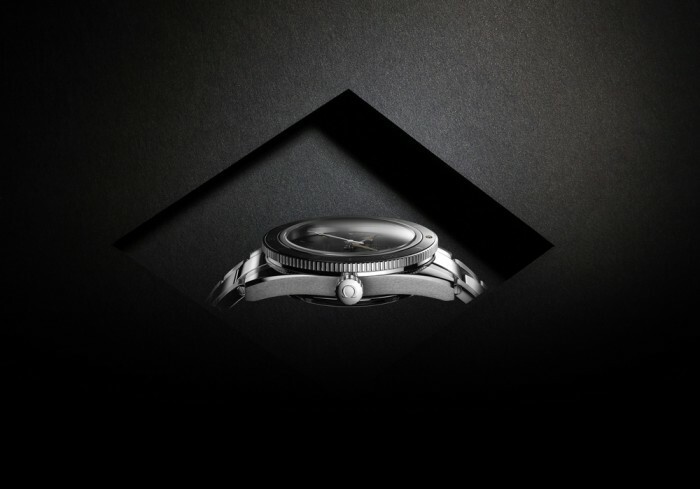 And while the original watch has a solid case back, the Seamaster 300 takes advantage of contemporary technology to dispense with the inner Faraday cage and offer a view into its extraordinary COSC-certified Calibre 8400 through its sapphire case back, while still remaining magnetic resistant up to 15,000 Gauss. How does it achieve this? It does so with its special co-axial escapement and hairspring, which are constructed from silicon, which is completely magnetic-resistant. In addition, at a retail price of 5,500 Swiss Francs in steel on a steel bracelet, it is a phenomenal expression of value. The only way to improve it would be to remove the bracelet and slip on a NATO-styled strap, which Omega is now also manufacturing. 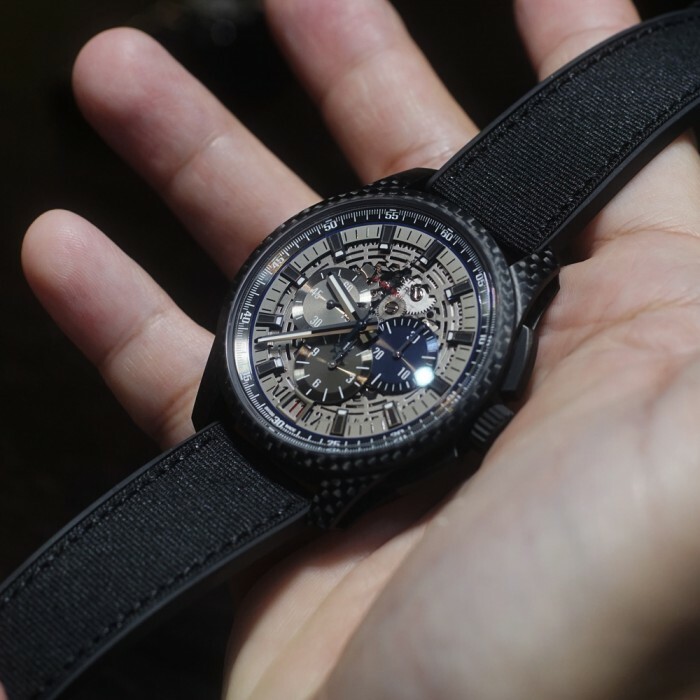 This watch has been created in homage to the Apollo 11 mission where astronauts Buzz Aldrin and Neil Armstrong enacted mankind’s first ever moon landing. The varying materials used in the timepiece are meant as nods to the color of the moon as well as the command space module. 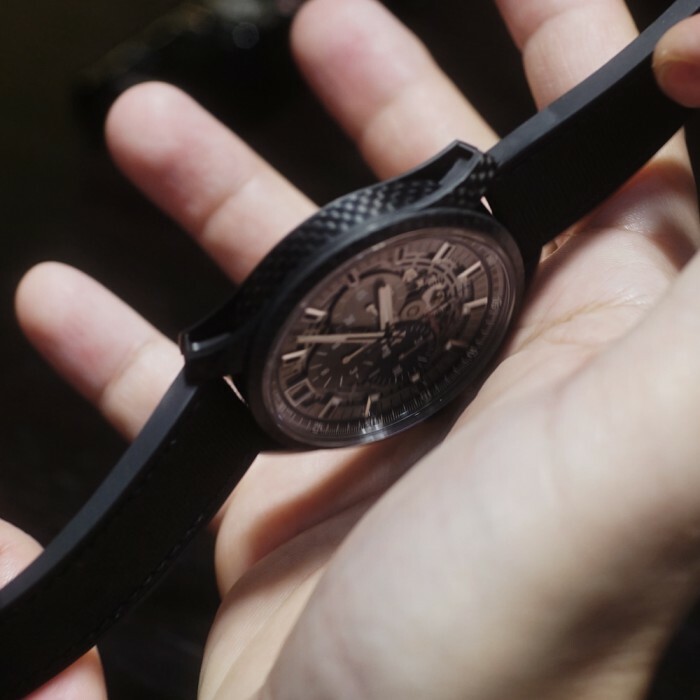 It is the design of this watch that is so seductive, in particular the combination of a Grade 2 titanium case meant to resemble the material of the lunar landing module with the PVD treated black/brown dial. To me, the color of the dial evokes vintage tropical dial Speedmasters that have turned an intense brown in reaction to UV light. A special laser removes material around the hour markers as well as the indices in the three subdials to create a goergeous three-dimensional effect. The hour indices are rose gold while Omega uses its proprietary Sedna gold for the element surrounding the ceramic bezel. 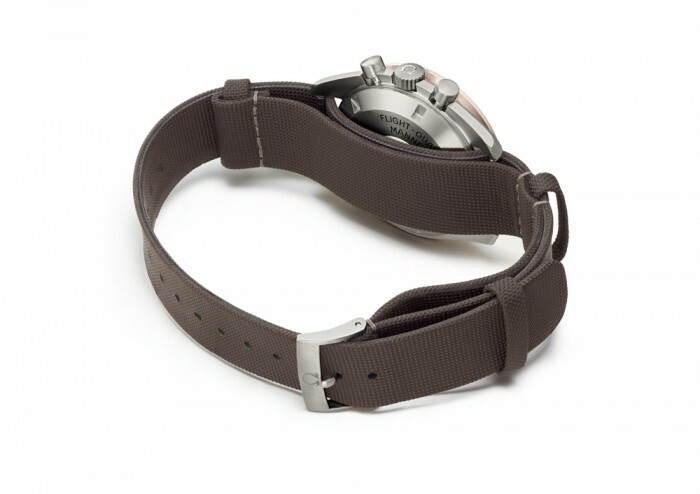 The head of the watch is fitted to a roguishly adventurous yet epically stylish dark brown NATO strap. 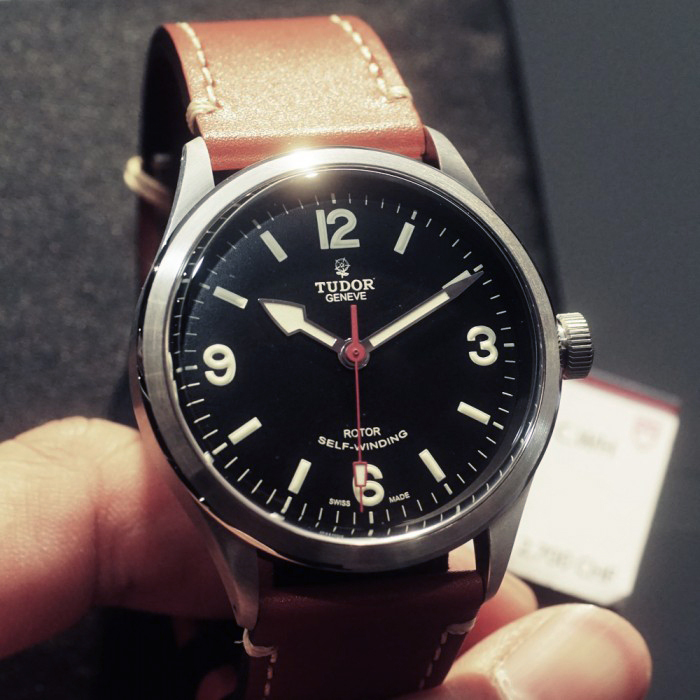 It is literally one of the best looking watches of the year and may very well find its way to my wrist. 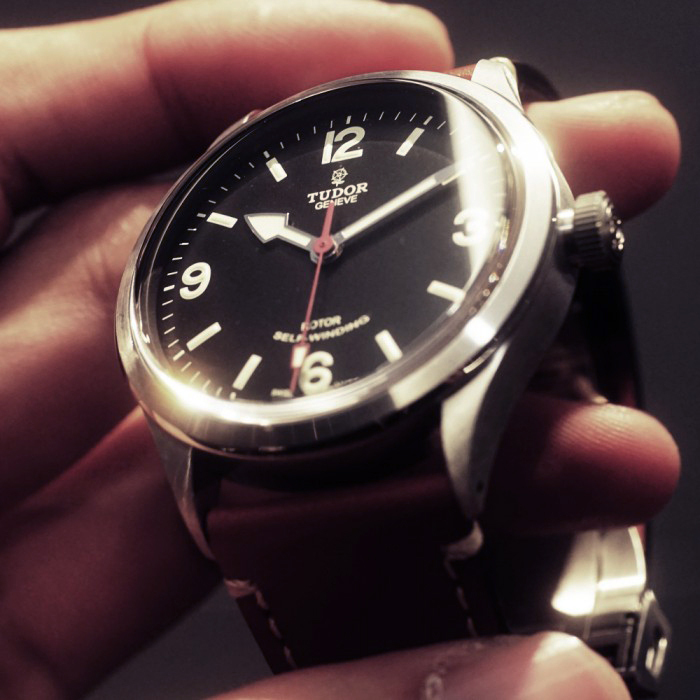 One of the primary reasons for the success of Tudor, which has gone from a brand that produced Rolex-like watches, just not quite as nice, into one of the hottest global luxury brands on the planet, is a friend of mine named Davide Cerrato.He had honed his designed ability at Officine Panerai before joining Tudor. Today, Cerrato acts as Tudor’s Creative Director and is the perfect counterpart to the brand’s equally dynamic CEO Philippe Peverelli. Together, they have created a non-stop litany, a veritable master list, of horological hits by activating the brand’s extraordinary past in order to write its future. 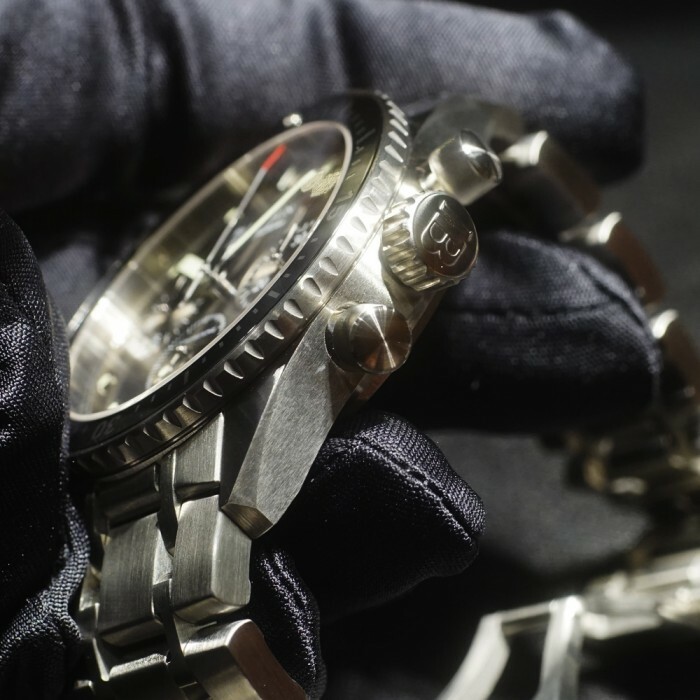 Watches, such as the Hertiage chronograph, the Black Bay and now the Ranger, all demonstrate Cerrato’s peerless ability to take the codes of the past, and revise them through his vision to make extraordinarily relevant, retro cool timepieces that perfectly strike a chord with the consumer of today. 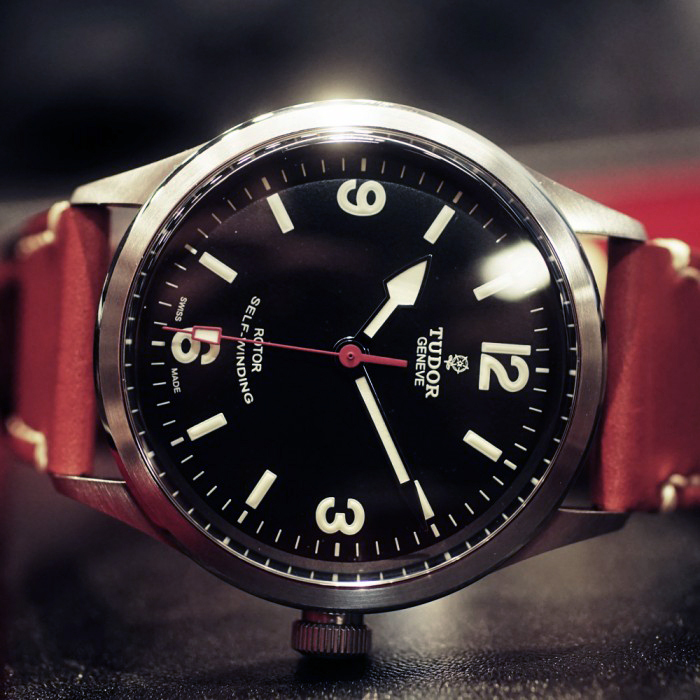 The 2014 brushed steel 41mm diameter Ranger is precisely this type of watch, inspired by a model from 1967 bearing an Explorer – Arabic 3,6,9,12 – styled dial, stamped with the name Ranger. 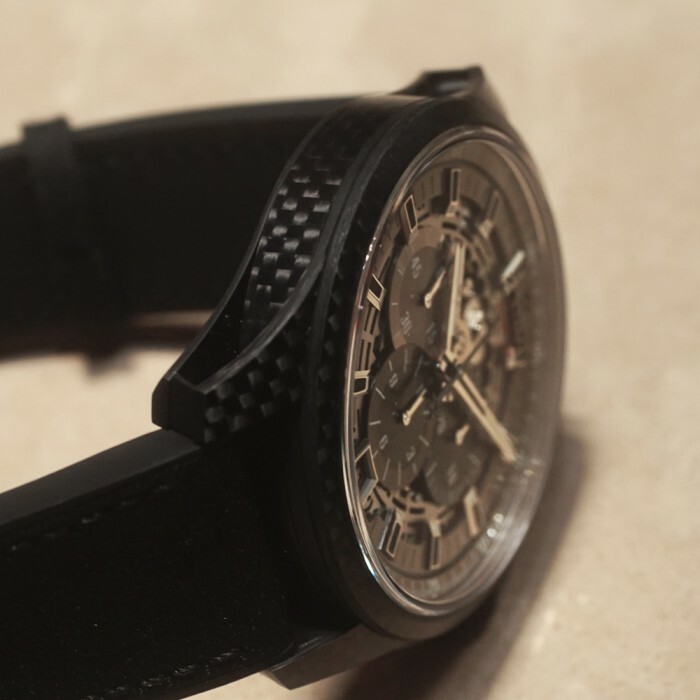 The watch literally bristles with muscular authenticity, evoking images of boundless adventure simply by strapping its Bund style (also known in common vernacular as a Fat Strap) onto your wrist. As a demonstration of Tudor’s market leading awareness of contemporary cultural dynamics, it also is the first brand to offer a woven camouflage textile strap along with the Ranger ,saving you the trouble of going out and buying an aftermarket one. You got to love it.